Geppeddo dolls have been manufactured since the 1980s. They are typically sold in malls around the holidays. This is a guide about finding the value of a Geppeddo doll. I've had this porcelain doll for about 15-20 years. Its a Geppeddo, her name is Grace. She is porcelain all over and it still has the price tag on it. The price tag says $30.95, with blanket included. Grace is praying with her eyes closed. She has never been out of the box. Can you tell me how much it is possibly worth? Thank you! Etsy.com (a web site for vintage items) has the Geppeddo dolls listed at $35.00. What is the value of a Geppeddo male baseball player? 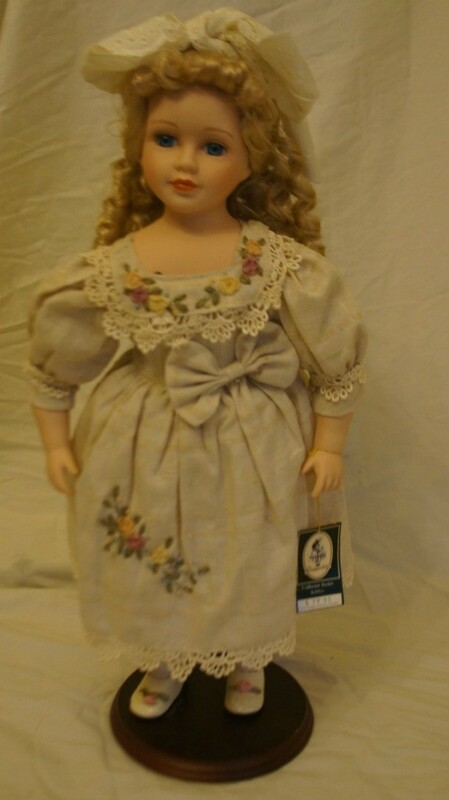 Someone may have one of these dolls but you can find answers over the internet through Google, eBay and many other sites. However, the true worth of any item is how much someone is willing to pay. I have two Geppeddo dolls. One is Kelsey Koala, cuddle kids and the other one is Toby Tiger. Are they collectibles? Are they worth anything or can my daughter play with them? Thanks. Most dolls are very plentiful over the Internet so values are not very high. Check your doll on eBay, Google and other sites for their value. Also, remember that dolls are not a "hot" item and may take months or years to sell on one of these sites. Selling anything is a lot of work so you may wish to check out Craig's list also. Personally, I would opt to give them to my children or grandchildren. How much is The Enchanted Queen Doll? This is a very pretty doll. It seems the Geppeddo dolls are very low value dolls in most instances and most of their dolls sell for under $25 (when they sell). Some sellers have high "asking" prices and the dolls are lovely but the market is glutted with similar dolls and the selling prices are very low. Dolls of all brands are a slow moving item and you can find over 83,000 porcelain dolls listed on eBay and only 24,000 sold over the last 6 months. That is a low percentage and it is estimated that over 90% of those dolls sold for under $25. I'm only stating these statistics so you will know the true value of this type doll as eBay is the standard that appraisers use to determine current value. The Geppeddo Enchanted Queen Doll is one of a series called Fairy Tale Series that apparently had several different style "queens" so your doll could be any one of the styles listed. There are presently 2 queen dolls listed on eBay. 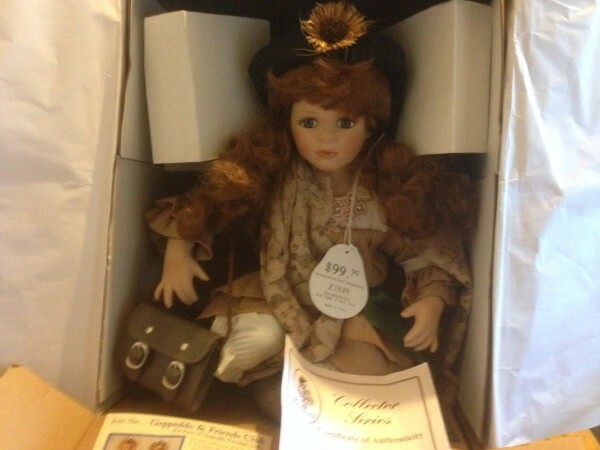 This doll recently sold on eBay for $31.95 and free shipping. The seller may have actually cleared less $17 and that is not counting what was originally paid for the doll. eBay is not a good selling venue for items like this (true profit is usually always low). If you decide to sell your doll I would suggest listing he on your local Craigslist, USA4Sale, Facebook Market Place or any other site that has local pick up as shipping is expensive and dangerous for breakable items. Sites like this are usually free to use. You would need several good pictures and a good description (especially size) and start your price at $50 and lower it is no one shows and interest. I don't see a photo or the height of the doll. At the moment, the 16 inch dolls are going unsold on eBay at $16 and under. There was a 17 inch one that sold for $31.96, but the seller paid shipping so he or she probably only netted a value of $20 after fees and paying shipping costs. I don't remember if there are other sizes of this gal or not, so if you have yet another size, there are none listed on ebay or sold. So to sum up, the value of the smaller doll today is $0 (since no one is buying them at the moment). That may change tomorrow. The value of the larger one is about $20. Value in today's market is what someone will actually pay for an item. Hopefully you have the lovely taller doll!! Best wishes for your sale! Someone gave me a bunch of Geppeddo porcelain dolls and I have no clue what they're worth. One is name Leah. All of the Leah's are sitting unsold on eBay in the $25 to $30 range. There are a bunch on now, so you will want to watch them and see what they sell for. Selling price is NOT value. Value is only SELLING price as something only has a value if someone is willing to pay for it. These are so lovely!! We used to sell oodles of them when I worked at Hallmark. I find it so sad that most have not held their value. Note the one that "sold" for 760 DID NOT SELL...the buyer was a NO PAY...it supposedly actually sold for 76. Crazy stuff!! That was quite generous of someone to give you these...since anything you will make is free money, even if you only got a few bucks a piece, you will be a head of the game! This was donated. Can I get the value of this doll with this information on the picture? This is not enough to research. Can you please post her face and height? A full body front and back shot also. Thanks! I am happy to help with more info. I can tell you these dolls are all over the place in price from 99 cents to low 20s, so the more info, the better to find out what end of the spectrum yours is in. 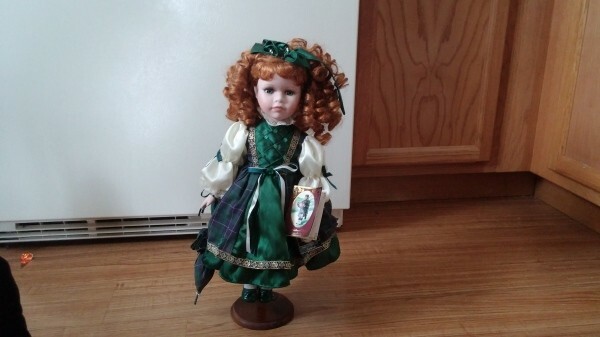 I have a porcelain Irish world doll. Geppeddo is stamped on her neck and her name is Suszan Irish Girl. Any information would be appreciated. Please do some research on eBay, Google as you have all the information. I have a Geppeddo doll still in it's original box. Would you be able to tell me how much it is worth? The only number on the bottom of the box is, 16C986. Hi - someone may happen to know something about this doll but it is a long shot. Try getting information on eBay, Google etc. How do I find out how much they are worth? They have been displayed only and still have tags with numbers and names. Since you have all the information - use this info to check eBay and Google. 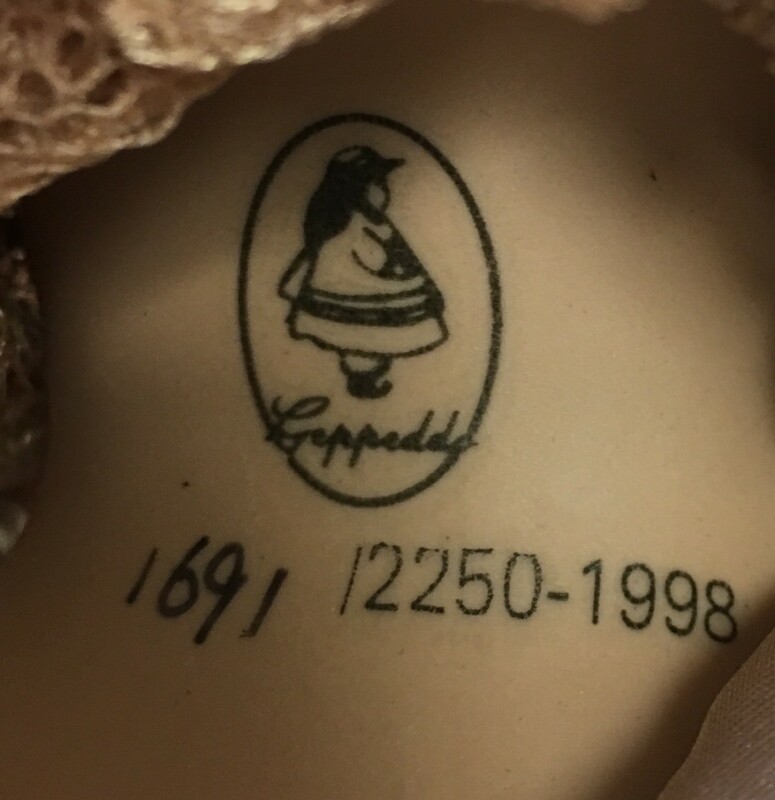 I am looking for the value of a Geppeddo porcelain doll 44/9450. Check out eBay and Google. How much is a Geppeddo Z1849 worth in the original box with all papers and price tag? I have a Geppeddo doll, Ashley. I need to find the value. eBay has been of no help. My wife has a porcelain doll she had gotten from a friend's wife who had passed away with lung-cancer. My wife and I were curious about the price and age of the doll.The doll is a Geppeddo doll and the serial # is AB290. I have a Geppeddo doll and she is "Sophie Sunflower". 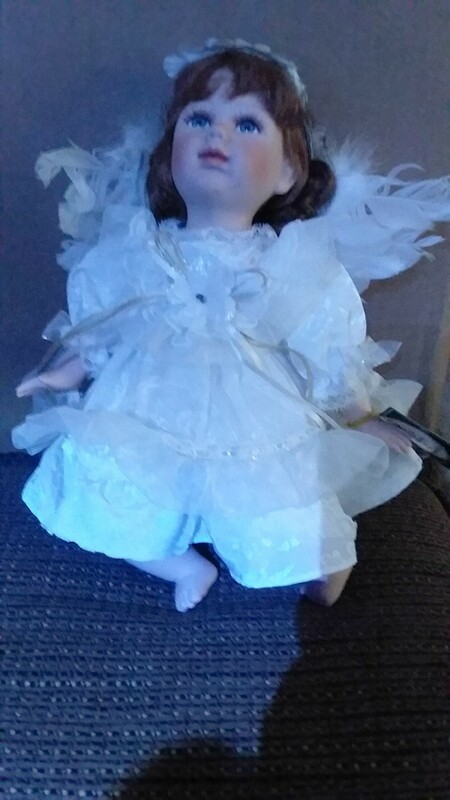 I am trying to figure out the real worth of this doll and where I can sell it if it is of any value. How do I find out the value of this doll?